Simon L. Lewis is professor of global-change science in the Department of Geography, University College London, and the School of Geography, University of Leeds, UK. Charlotte E. Wheeler is a forest researcher at the School of GeoSciences, University of Edinburgh, UK. Edward T. A. Mitchard is senior lecturer in forest-change mapping at the School of GeoSciences, University of Edinburgh, UK. Alexander Koch recently completed a PhD in the Department of Geography, University College London, on forests and the global carbon cycle. Keeping global warming below 1.5 °C to avoid dangerous climate change1 requires the removal of vast amounts of carbon dioxide from the atmosphere, as well as drastic cuts in emissions. The Intergovernmental Panel on Climate Change (IPCC) suggests that around 730 billion tonnes of CO2 (730 petagrams of CO2, or 199 petagrams of carbon, Pg C) must be taken out of the atmosphere by the end of this century2. That is equivalent to all the CO2 emitted by the United States, the United Kingdom, Germany and China since the Industrial Revolution. No one knows how to capture so much CO2. The IPCC suggests that boosting the total area of the world’s forests, woodlands and woody savannahs could store around one-quarter of the atmospheric carbon necessary to limit global warming to 1.5 °C above pre-industrial levels2. In the near term, this means adding up to 24 million hectares (Mha) of forest every year from now until 2030. Policymakers are sowing the seeds. For example, in 2011, the German government and the International Union for Conservation of Nature launched the Bonn Challenge, which aims to restore 350 Mha of forest by 2030. Under this initiative and others, 43 countries across the tropics and subtropics where trees grow quickly, including Brazil, India and China, have committed nearly 300 Mha of degraded land (see Supplementary Information, Table S1). That’s encouraging. But will this policy work? Here we show that, under current plans, it will not. A closer look at countries’ reports reveals that almost half of the pledged area is set to become plantations of commercial trees (see Table S1). Although these can support local economies, plantations are much poorer at storing carbon than are natural forests, which develop with little or no disturbance from humans. The regular harvesting and clearing of plantations releases stored CO2 back into the atmosphere every 10–20 years. By contrast, natural forests continue to sequester carbon for many decades4. To stem global warming, deforestation must stop. And restoration programmes worldwide should return all degraded lands to natural forests — and protect them. More carbon must be stored on land, while recognizing competing pressures to deliver food, fuel, fodder and fibre. We call on the restoration community, forestry experts and policymakers to prioritize the regeneration of natural forests over other types of tree planting — by allowing disturbed lands to recover to their previous high-carbon state. This will entail tightening definitions, transparently reporting plans and outcomes and clearly stating the trade-offs between different uses of land. To combat climate change, the most effective place to plant trees is in the tropics and subtropics — this is where most forest-restoration commitments are found. Trees grow and take up carbon quickly near the Equator, and land is relatively cheap and available (see go.nature.com/2ogmbmz and ‘Restoration potential’). Establishing forests has little effect on the albedo (reflectivity) of the land surface, unlike at high latitudes, where trees obscure snow that would otherwise reflect solar energy and help to cool the planet. 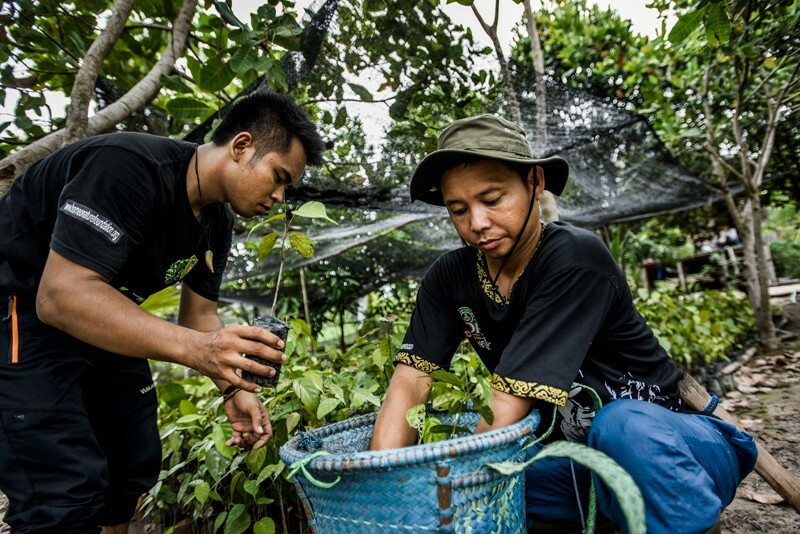 Well-managed forests can also help to alleviate poverty in low-income regions, as well as conserve biodiversity and support the United Nations Sustainable Development Goals — notably, goals 1 (no poverty), 6 (clean water), 11 (sustainable communities), 13 (climate action) and 15 (life on land). So far, just over half (24) of the countries in the Bonn Challenge and other schemes have published detailed restoration plans, covering two-thirds of the total pledged area (Table S1). Nations are following three main approaches. First, degraded and abandoned agricultural land will be left to return to natural forest on its own. Second, marginal agricultural lands are to be converted into plantations of valuable trees, such as Eucalyptus for paper or Hevea braziliensis for rubber. Third is agroforestry, which involves growing crops and useful trees together. Natural regeneration is the cheapest and technically easiest option. Just over one-third (34%) of the total area allocated is to be managed in this way. Protecting land from fire and other human disturbances allows trees to return and forests to flourish, building carbon stocks rapidly to reach the level of a mature forest in roughly 70 years4. Recovery times can be accelerated by planting native species, and the area under natural regeneration expanded using legislation and incentives, such as those pioneered in Costa Rica. However, plantations are the most popular restoration plan: 45% of all commitments involve planting vast monocultures of trees as profitable enterprises. The majority are planned in large countries such as Brazil, China, Indonesia, Nigeria and the Democratic Republic of the Congo (Table S1). Brazil, for example, has pledged 19 Mha to wood, fibre and other plantations, more than doubling its current 7.7 Mha. Agroforestry accounts for the rest (21%). 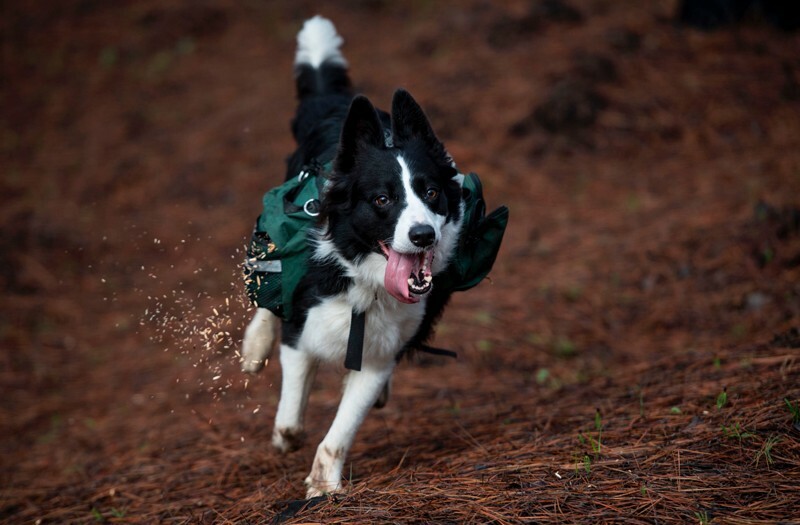 This practice is used widely by subsistence farmers, but rarely at large scales. Some crops benefit from trees, such as coffee grown under their shade or maize (corn) interspersed with trees that enhance nitrogen in soils. The trees themselves supply fuel, timber, fruit or nuts. Hence, two-thirds of the area committed to global reforestation for carbon storage is slated to grow crops. This raises serious concerns. First, plantations hold little more carbon, on average, than the land cleared to plant them. Clearance releases carbon, followed by rapid uptake by fast-growing trees such as Eucalyptus and Acacia (at up to 5 tonnes of carbon per hectare per year). But after such trees are harvested and the land is cleared for replanting — typically once a decade — the carbon is released again by the decomposition of plantation waste and products (mostly paper and woodchip boards). It might be possible to increase the amount of carbon stored in plantation lands by harvesting them less often, using different species or converting timber into longer-lived products3. But little field research has been done, in part because it could lower plantation yields. Second, drastically increasing the area of plantations could undercut their profitability — the reason that nations are prioritizing them. If current restoration plans are enacted, the world’s tropical and subtropical plantation estate would rise by 157 Mha, to 237 Mha. This would mark a major shift in global land use5. Prices of woodchip and paper products would probably fall. But there has been no research into the potential economic effects of this major change in forestry policy5. Third, policymakers are misinterpreting the term ‘forest restoration’. Few conservationists, for example, think that this should include planting a monoculture of Eucalyptus trees for regular harvest. But by exploiting broad definitions and confused terminology, policymakers and their advisers are misleading the public. It is true that many plantations meet the UN Food and Agriculture Organization’s definition of a forest: greater than 0.5 hectares in area, trees at least 5 metres high and more than 10% canopy cover5. Yet the key components of climate-change mitigation and biodiversity protection are missing. Plantations are important economically, but they should not be classified as forest restoration. That definition urgently needs an overhaul to exclude monoculture plantations. Fourth, reports often mix up the process of regeneration to natural forest with the resulting land-cover type6. Land can be labelled as natural forest when it is far from mature. Meanwhile, climate-benefit calculations usually assume that this land becomes forest and remains so forever. But there is no guarantee that these forests will be protected 50 or 100 years from now, particularly as the demand for land grows. Natural-forest restoration is clearly the most effective approach for storing carbon. But clashing priorities are sabotaging carbon storage potential. To illustrate, we calculated carbon uptake under a series of four restoration scenarios pledged by 43 countries under the Bonn Challenge and national schemes (see ‘Which strategy?’ and Supplementary Methods). In the first scenario, today’s commitments are extended to 2100. In the second, these are retained to 2050, after which natural forest is converted to plantations for biofuels. In the third, the whole area (350 Mha) regenerates to natural forest. And in the fourth, everything becomes plantations. Source: S. L. Lewis et al. In short, if the entire 350 Mha is given over to natural forests, they would store an additional 42 Pg C by 2100 (see ‘Which strategy?’). Giving the same area exclusively to plantations would sequester just 1 Pg C or, if used only for agroforestry, 7 Pg C. Furthermore, we find, on average, that natural forests are 6 times better than agroforestry and 40 times better than plantations at storing carbon (sequestering 12, 1.9 and 0.3 Pg C per 100 Mha by 2100, respectively; see Supplementary Information, Table S6). So under current schemes, natural forests can get us most of the way to the median estimate for forest uptake used in the IPCC’s pathways for keeping warming under 1.5 °C, 57 Pg C. (Our storage figure is lower because of more-optimistic assessments of tree growth and the area planted in some model runs2.) Any other approach will fall far short. 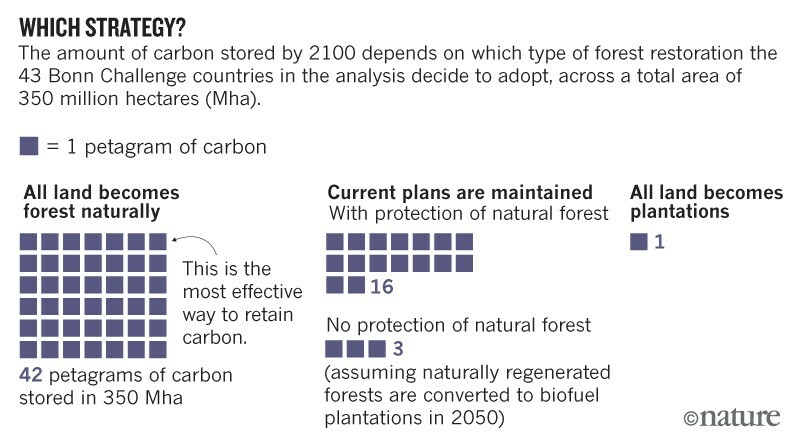 Maintaining the current reported mix of natural-forest restoration, plantations and agroforestry sequesters about one-third of the carbon (16 Pg C) of the natural-forest-only scenario, largely because plantations are ineffective (see ‘Which strategy?’). Even this might be optimistic, because it assumes that all new forests are protected, whereas climate policy itself can threaten them. Central to the 1.5 °C pathways is another technology for removing carbon from the atmosphere: bioenergy with carbon capture and storage (BECCS). This is expected to remove 130 Pg C by 21002. That technology would require a further 380–700 Mha of land by mid-century to grow crops for biofuel7. Eucalyptus, maize and switchgrass (Panicum virgatum) would be burnt in power stations and the carbon emissions captured and stored underground. 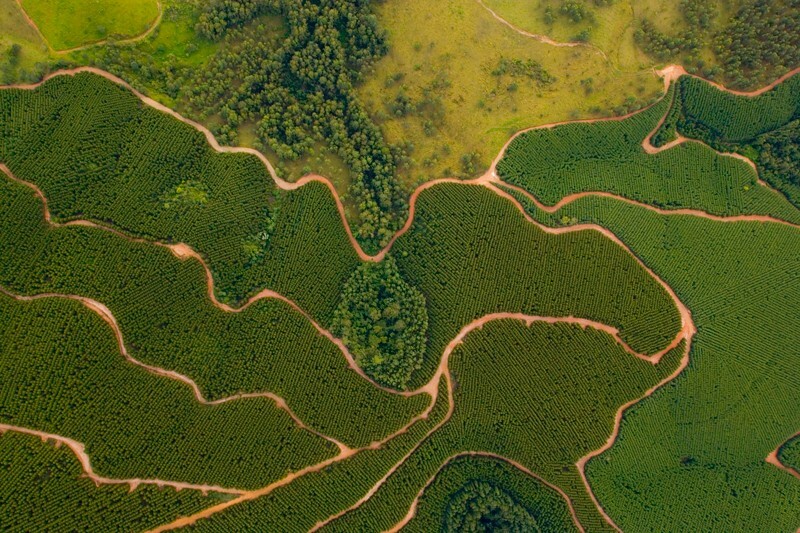 This huge extra demand for land could displace restored forests. We estimate that converting the planned new natural forests to bioenergy crops after 2050 slashes sequestration to a paltry 3 Pg C by 2100. This also delays by decades the time when BECCS becomes carbon-negative7. There are many uncertainties in our estimates, ranging from where exactly the restoration will take place, to which species might be planted and their carbon sequestration rates. Future CO2 fertilization and climate impacts on future forests are especially uncertain, and could be better assessed using Earth-system model runs (see Supplementary Information). Critics will counter that it is unrealistic to expect all natural forests to be protected in perpetuity. Certainly, tree-based agriculture and plantations are essential parts of many landscapes. What is required is an extension of the restoration agenda, not a retreat from it. Reaching 350 Mha of new natural forest is possible as part of a much larger total area that would include plantations and agroforestry. Because Earth’s land area is finite, research is needed to establish optimum responses to competing pressures on the world’s lands, for food, fuel, fodder, fibre and ecosystem services8. However, these pressures are not in only one direction: there is potential for rising agricultural productivity to release land, as could shifts in consumer habits, such as towards diets that are low in meat and dairy. And synergies exist: using habitat restoration to connect existing forests would allow species to move as the climate changes, lessening future waves of extinction. Today’s forest-restoration schemes must increase their carbon sequestration potential to meet global climate commitments. We suggest four ways in which this could happen. First and foremost, countries should increase the proportion of land that is being regenerated to natural forest. Each additional 8.6 Mha sequesters another 1 Pg C by 2100. That is an area roughly the size of the island of Ireland, or the state of South Carolina. Second, prioritize natural regeneration in the humid tropics, such as Amazonia, Borneo or the Congo Basin, which all support very high biomass forest compared with drier regions. International payments to recreate and maintain new forests from carbon sequestration, climate adaptation or conservation funds could mobilize action. Third, build on existing carbon stocks. Target degraded forests and partly wooded areas for natural regeneration; focus plantations and agroforestry systems on treeless regions and, where possible, select agroforestry over plantations. Fourth, once natural forest is restored, protect it. This could be by expanding protected areas; giving title rights to Indigenous peoples who protect forested land; changing the legal definition of how land may be used so it cannot be converted to agriculture, or encouraging commodities companies to commit to not clearing restored natural forests. The ambitious global restoration agenda is good news. And last month’s declaration that the 2020s will be the UN Decade on Ecosystem Restoration affirms its importance. But these efforts will remove sufficient carbon from the atmosphere only if forest restoration is taken to be what it means: the permanent re-establishment of largely natural and largely intact forest. Lewis, S. L. Nature 532, 283 (2016). Griscom, B. W. et al. Proc. Natl Acad. Sci. USA 114, 11645–11650 (2016). Poorter, L. et al. Nature 530, 211–214 (2016). UN Food and Agriculture Organization. Global Forest Resources Assessment 2015 (FAO, 2015). Chazdon, R. L. & Guariguata, M. R. Biotropica 48, 716–730 (2016). Harper, A. B. et al. Nature Commun. 9, 2938 (2018). Gu, B., Zhang, X., Bai, X., Fu, B. & Chen, D. Nature 566, 31–33 (2019).